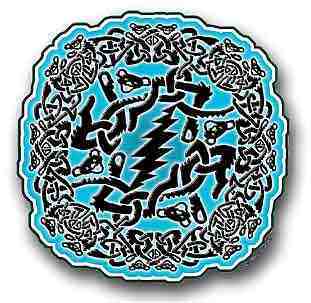 This Grateful Dead sticker has a celtic themed intertwined with dancing bears. It's a window sticker, so it goes on the inside glass and measures approximately 6" x 6 1/2". Officially licensed Grateful Dead merchandise.